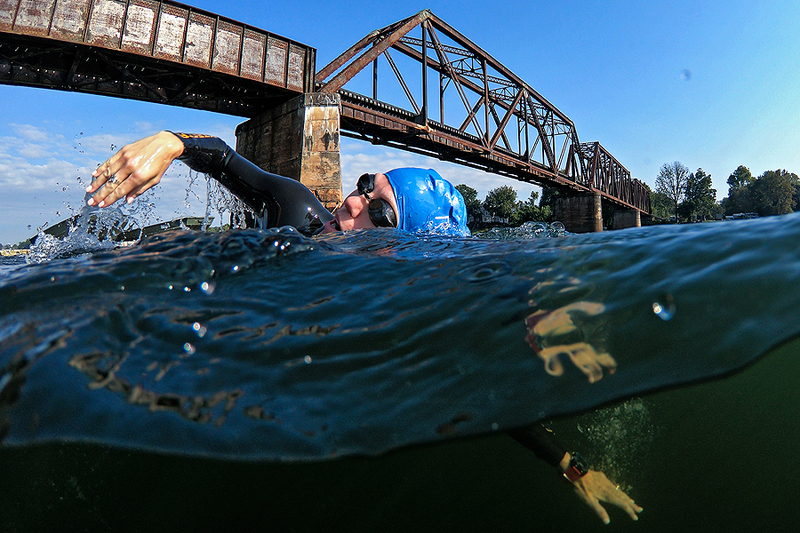 "An athlete swims in front of the 6th Street bridge in the Savannah River at the Riverfront Marina as they train prior to the IRONMAN 70.3 Augusta on September 22, 2018 in Augusta, Georgia." A large majority of the time for photographers, most assignments have no guidelines. Sure, there is a often a shot list or desired images our clients are looking for. But no one is going to hold your hand and tell you how to achieve those. It's trusting your own judgement, doing your homework and managing your time wisely that often results in producing both what the client wants and exceeding their expectations. So to impress, obviously no one is going to tell you to jump into a stinky river filled with snakes for a picture. Those types of photographs come from wanting and willing to get into the body of water in the meaning of a fun rectangle. I think that's what makes this job so interesting. While you know what you need, you're able to take risks and go for something different if you're a good planner.